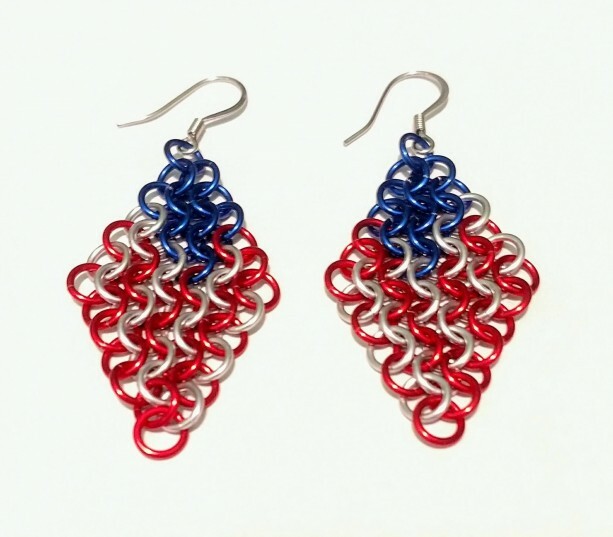 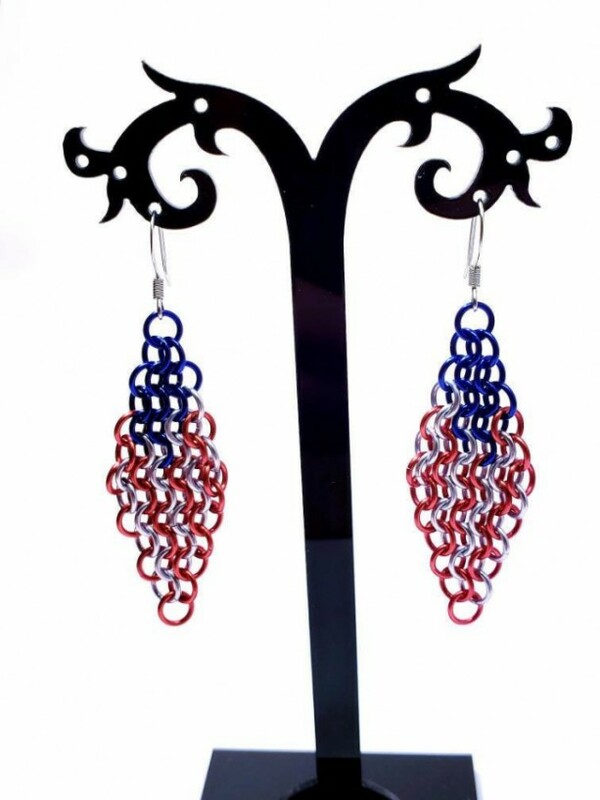 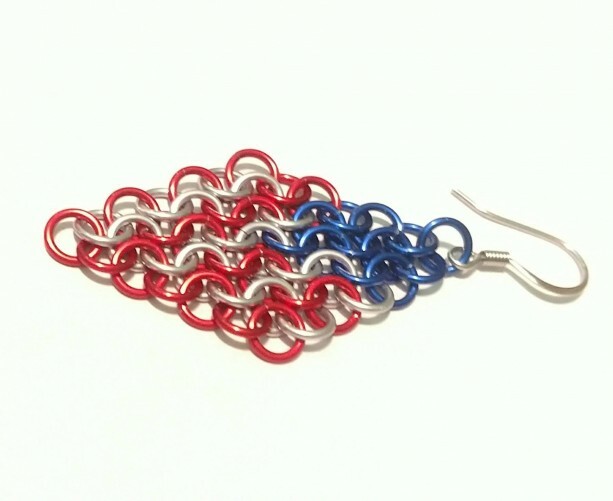 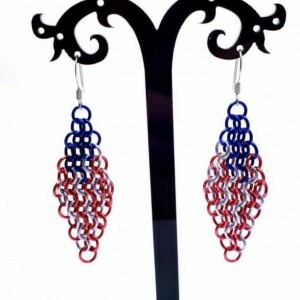 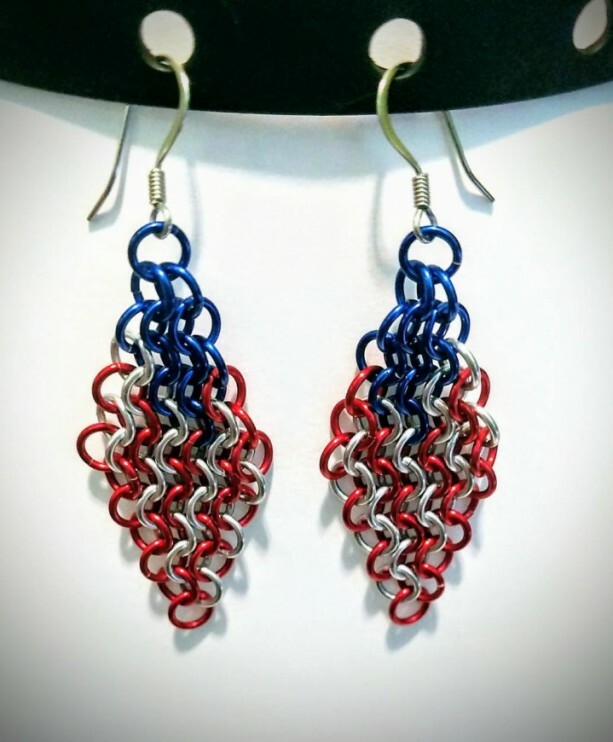 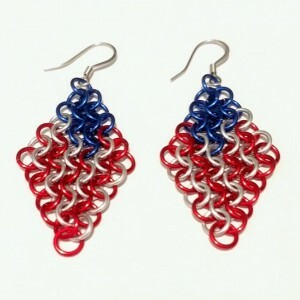 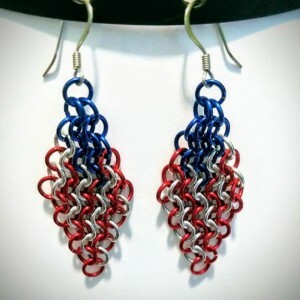 Patriotic American Flag earrings made with anodized aluminum red white and blue jump rings and stainless steel earwire which makes them light weight, hypoallergenic, and will not tarnish Keep your aluminum jewelry away from corrosive chemicals like chlorine, bleach, acids, and drain cleaning solutions to prevent your jewelry from oxidizing and losing luster. 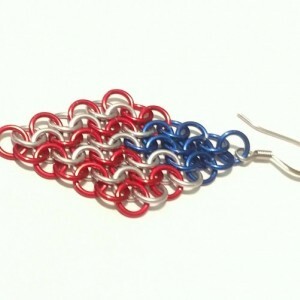 To clean wash with a gentle dish soap, like Dawn (not a harsh detergent), and water, then pat dry with a clean cloth. 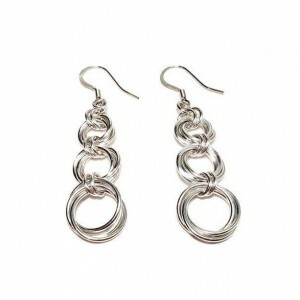 Also, it is recommended you wipe down the jewelry after wearing it with a clean cloth and store in a plastic bag when not in use.